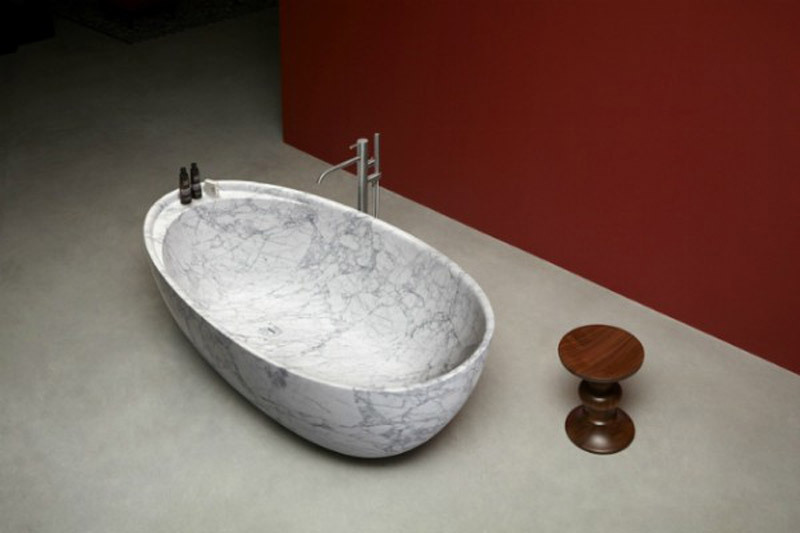 Eclipse bathtub from Antonio Lupi brand can represent the central point of your bathroom or be placed next to the wall, it has egg’s volume and ergonomically protects your body. Eclipse is a sophisticated interpretation of the organic style, a contemporary expression of relaxation, a picture of the design adorned with a new version made of Marble Carrara. The monolithic form is well defined in every detail, and it is a project that besides giving identity to the space explores functional aspects of relaxation, thanks to a sophisticated shelf that is perfectly integrated with the edge of the bathtub. This is an example of when one technical detail becomes aesthetic – an identification mark that defines the overall picture of the bathroom. 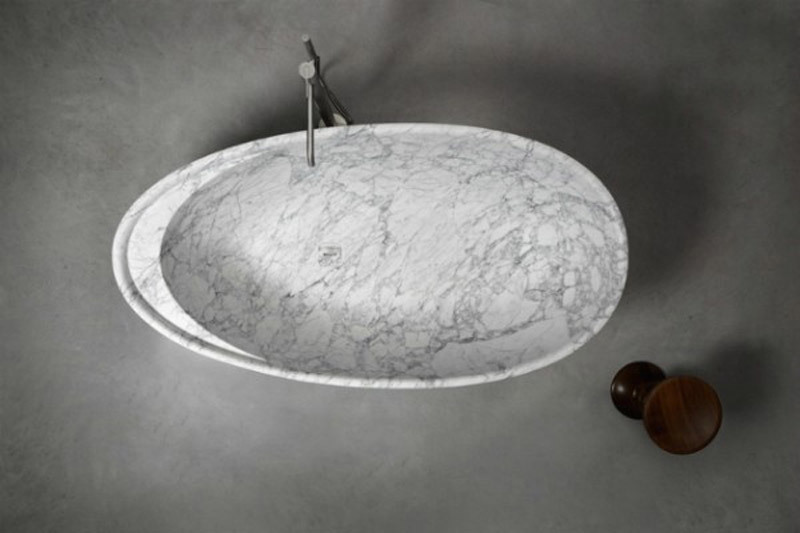 To pure white and gentle lines have been added a new version made of Marble Carrara that allows inserting in different contexts. 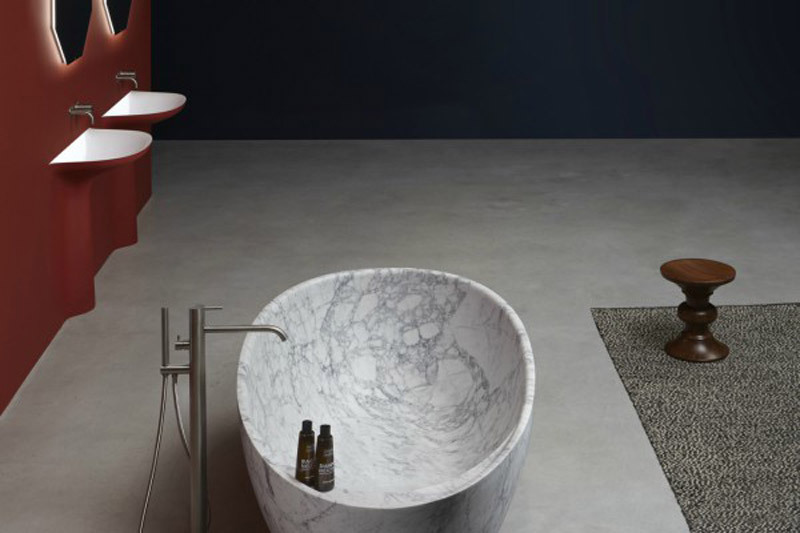 From modern bathrooms to various stylistic contexts, the marble version of Eclipse bathtubs takes on the role of the absolute protagonist of any composition.